Hey Varsity Lakes! 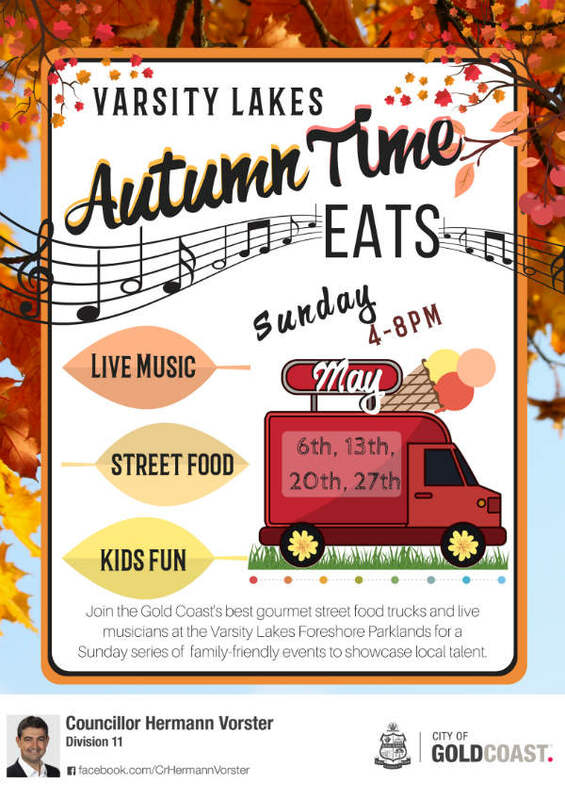 Join us every Sunday in May from 4pm-8pm at the picturesque Varsity Foreshore Parklands for a free series of family-friendly events by the water. Bring your picnic blanket and relax to live music under the bunting and fairy lights as the sun goes down. The best gourmet street foodies will join us! You will be spoilt for choice. Proudly presented by Councillor Hermann Vorster.